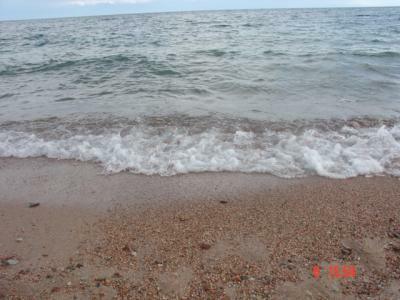 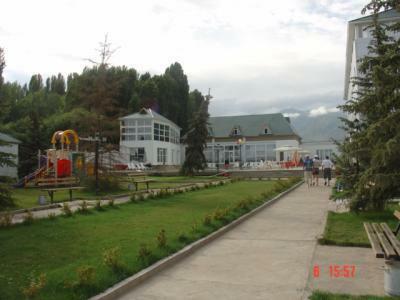 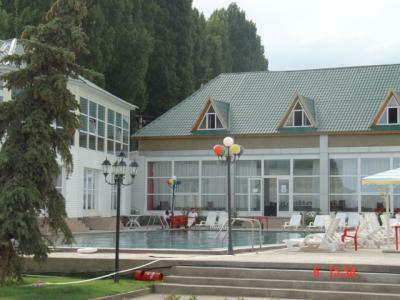 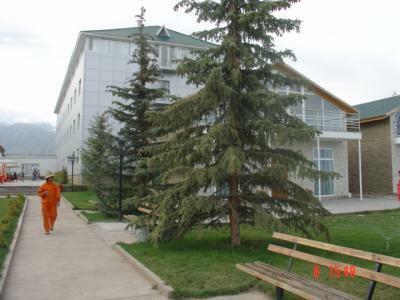 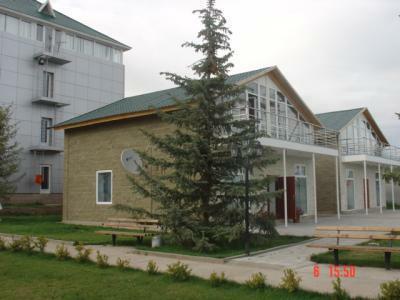 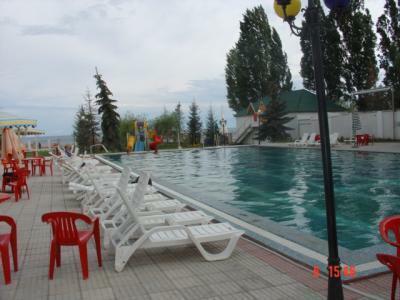 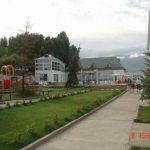 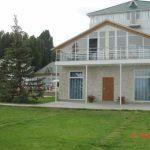 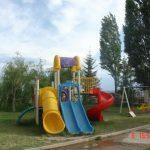 The boarding house is located at northern coast of Issyk Kul lake, in Bozteri village, in 270 km from capital of the Kyrgyz Republic of Bishkek city. 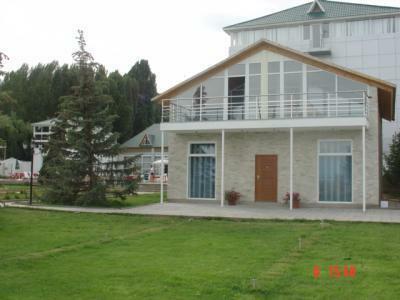 At your service rest in the two-storeyed luxe-class cottage, located on territory of cosy and comfortable boarding house “Dolphin-de-lux” is offered. 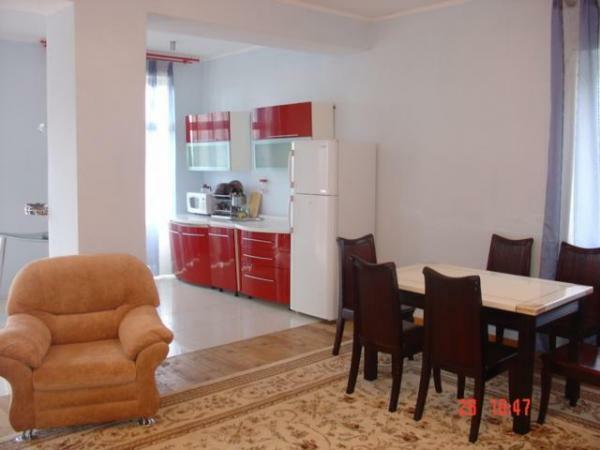 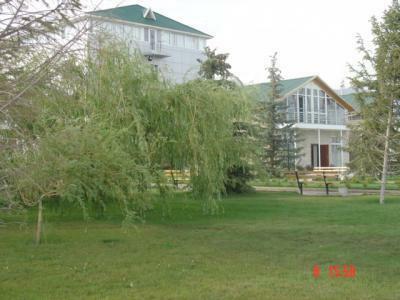 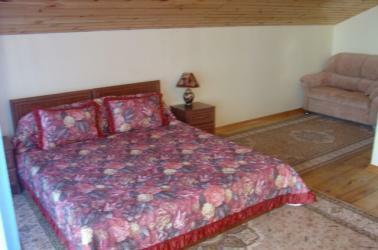 The total area of cottage is 180м2, consists of two bedrooms located on the second floor and the big hall on the ground floor. 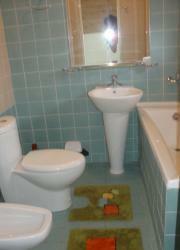 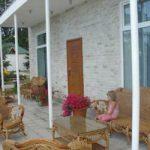 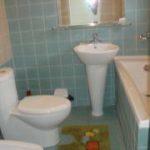 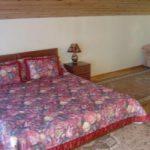 In a cottage: the satellite TV, completely equipped kitchen, in both bedrooms is available a toilet and a bathroom. 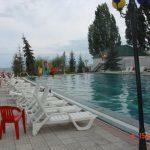 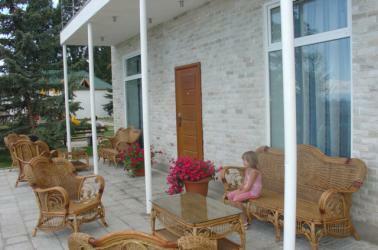 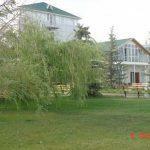 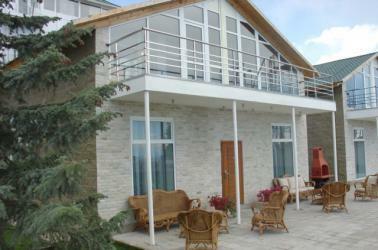 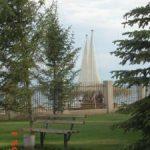 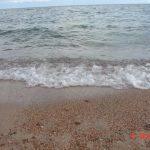 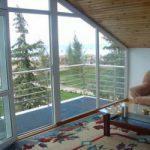 From windows you will see lake; the cottage is located in 20 meters from coast. 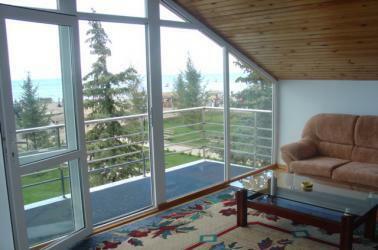 On the second floor you can settle down on a cosy terrace with a view on lake. 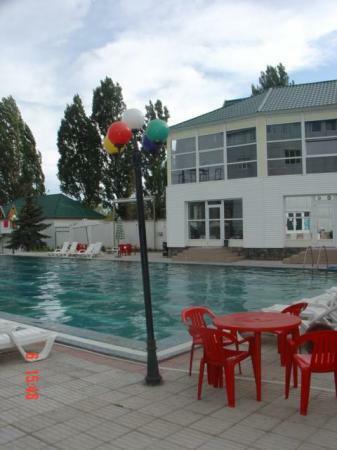 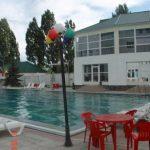 In territory of boarding house for your rest the open pool, water in pool is from lake (changing daily) is offered, children’s playground, restaurant, bar. 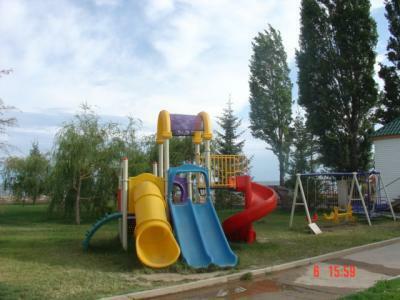 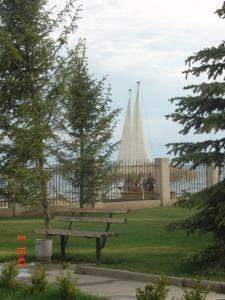 Near to boarding house the aqua park is located. 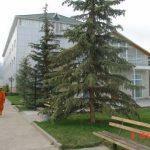 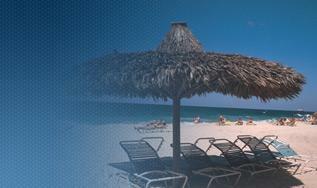 We will be glad to see you at us on a visit! 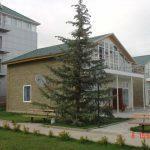 We will try, that your rest was unforgettable!